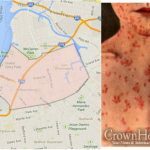 The Measles epidemic which has plagued the Willimsburg and Rockland County Jewish communities has reportedly hit Crown Heights, with the first confirmed case having having been confirmed by the Department of Health. Doctors and physicians are urging residents to get their titres checked even if they have previously been vaccinated. 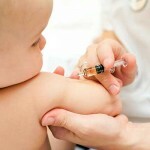 Anyone who has not received their vaccinations are urged to get them immediately. The first case of measles in Crown Heights was confirmed by the Department of Health Tuesday afternoon, making Crown Heights the next community effected by the outbreak. In an interview with CrownHeights.info, the physician who identified the infection said that the exposure of the infection had been immediately reported to the Department of Health, and the case confirmed. Measles is a highly contagious disease caused by a virus that is spread through contact with secretions of infected people. These secretions can be passed on when a person infected with the measles virus breathes, coughs, or sneezes. Measles is one of the most contagious viruses on earth. One measles infected person can give the virus to countless others. In fact, 90% of unvaccinated people exposed to the virus become infected. You can catch measles just by being in a room where a person with measles has previously been, even up to 2 hours after that person is gone. The measles are infectious even before the measles rash has appeared, making protecting against the measles even more difficult. Following a measles exposure, there is a three day period where administration of the MMR vaccine or booster can stave off an infection. With the confirmed exposure having been Sunday, that leaves little time for those exposed to seek medical attention. Measles can be dangerous and even life threatening, especially for babies and young children. Others who are at high risk for complications include pregnant women who are not immune, as well as those who are immune-compromised or immunosuppressed and their body can not fight the disease. Doctors urge everyone to have their titres checked regardless if you have already vaccinated, and get a booster as needed. If a person feels they or their family may have been exposed, Doctors urge them to immediately seek medical attention with their personal physicians. Anyone unvaccinated should receive the MMR vaccine as soon as possible. If the person exposed is a child under the age of 6 months, or is pregnant, immunoglobulins may be required to protect against the virus. 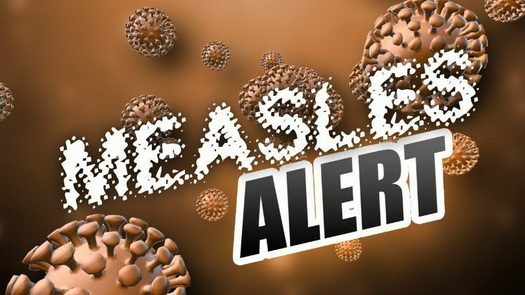 To date, 151 cases of measles have been confirmed in Rockland County, with the Health Department declaring a State of Medical Emergency, banning anyone unvaccinated from venturing out in public. The number of measles cases are estimated by some to be many times more, as only the most severe cases are counted in the Departments numbers.